People’s teeth lose their natural whiteness for a variety of reasons. Coffee, tea, colas, tobacco and red wine can stain teeth. Tetracycline and certain antibiotics may also cause tooth discoloration during tooth formation. Smoking is a cause of stained teeth. Your teeth may also lose their whiteness because of natural aging. When the enamel (top layer of the tooth) wears down, the dark layer below, called the dentin, becomes more visible, giving the appearance of darker teeth. 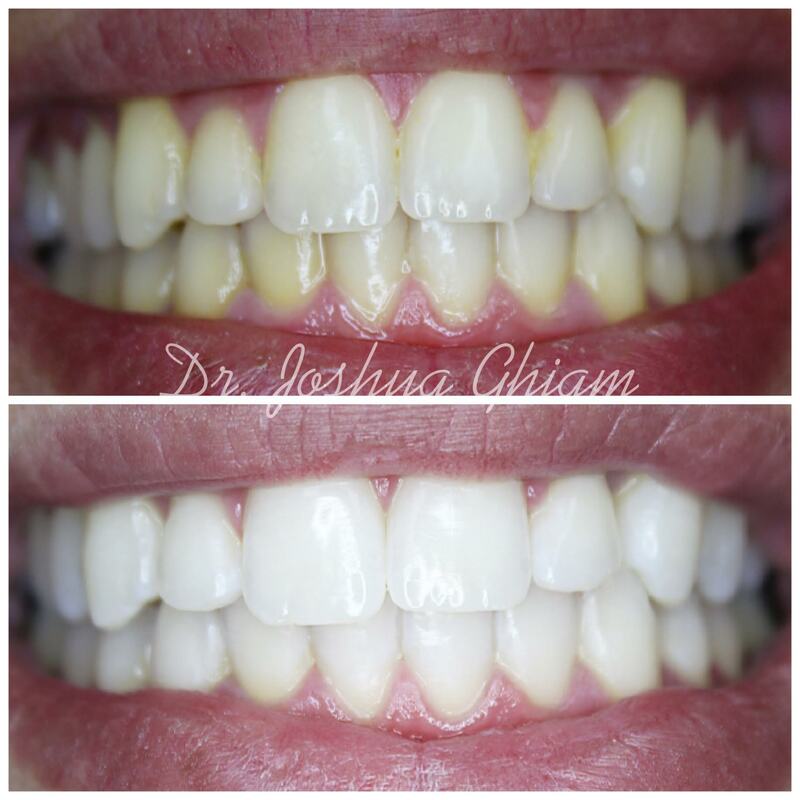 It’s no surprise that tooth whitening is the most-requested cosmetic dental procedure today. Fortunately, our office offers Zoom Whitening, also known as Philips Zoom Whitening. This professional-strength whitening system will lighten the discoloration of the enamel and dentin. “Don’t Wait. 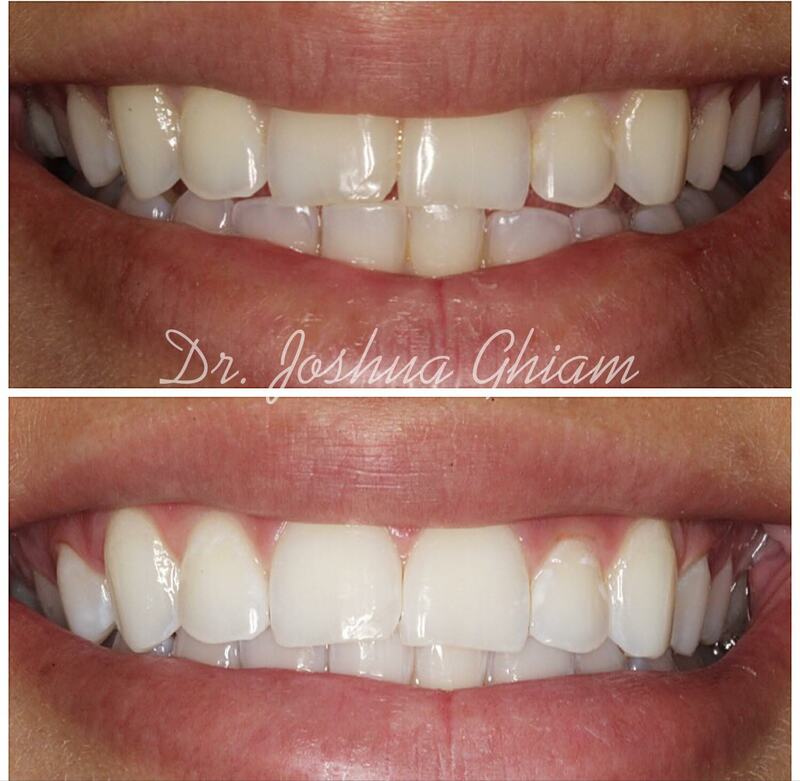 Schedule your thorough complimentary consultation with Dr. Ghiam Today!" 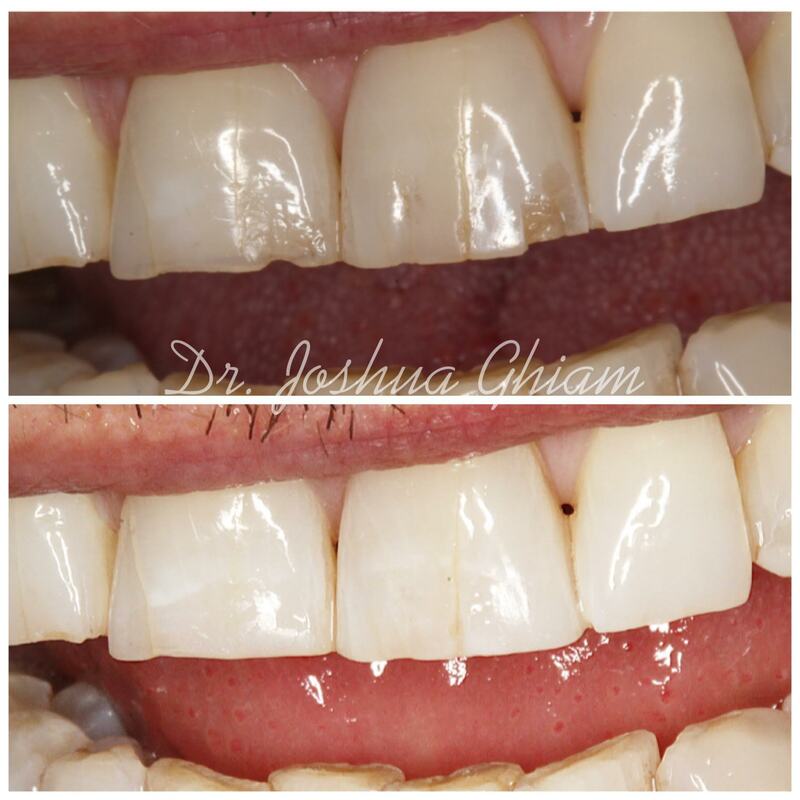 Why Choose Dr. Ghiam and LA Smiles! We are highly reviewed on review sites such as Yelp! The procedure is performed with the latest digital technology by an award winning doctor. You'll see results in just one visit! View our gallery above for examples. During your visit to our office, the dentist can perform an oral examination of your teeth (including a shade assessment) and gums to find out if Zoom Whitening is right for you. 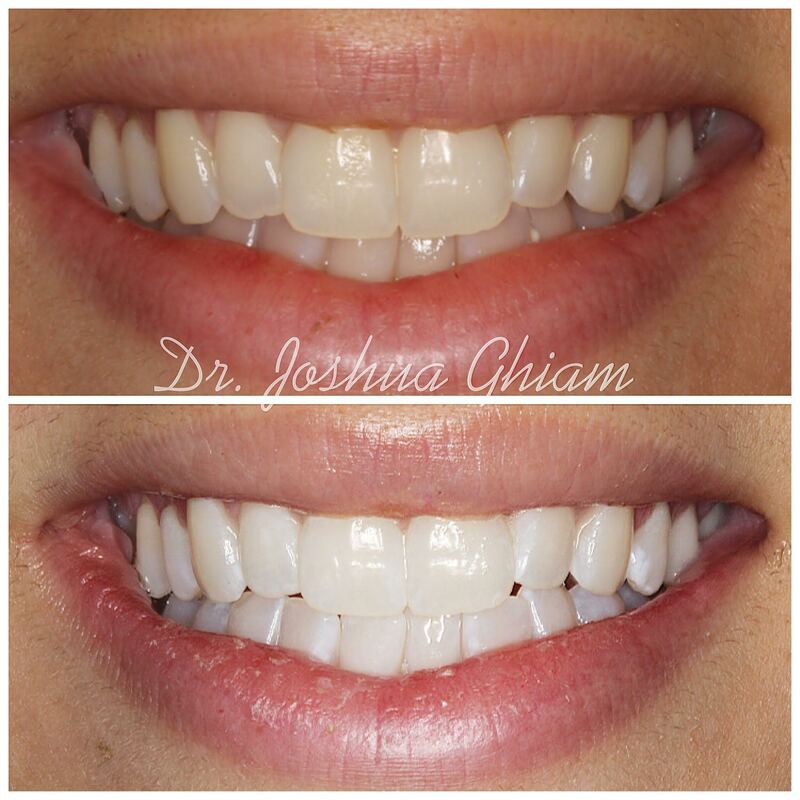 During a Zoom Whitening session, our staff will cover your lips and gums so that only your teeth are exposed to the hydrogen peroxide whitening gel. A special light is used to break down the hydrogen peroxide, causing oxygen to enter the enamel and dentin to help whiten the tooth. The gel stays on your teeth for about 15 minutes while the light is on. Following my cleaning I did Zoom whitening! My teeth are white and feel amazing! There are usually three of these 15-minute sessions, which means you will have a total treatment time of less than an hour. After these sessions, a sensitivity-reducing fluoride paste-gel is put on your teeth. Before you go home, our dentist will give you a home touch-up kit that comes with whitening trays that are designed specifically for your teeth. Our dentist will give you instructions on how to use the home kit. Our dentist may also advise you to avoid certain foods and drinks that can stain your teeth. Of course, smoking is not good for your teeth or the rest of your body. You will also need to practice good oral hygiene, brushing twice a day and flossing once a day, to help maintain your new whitened teeth. Zoom Whitening is not recommended for kids younger than 13 years of age, pregnant women or lactating women. 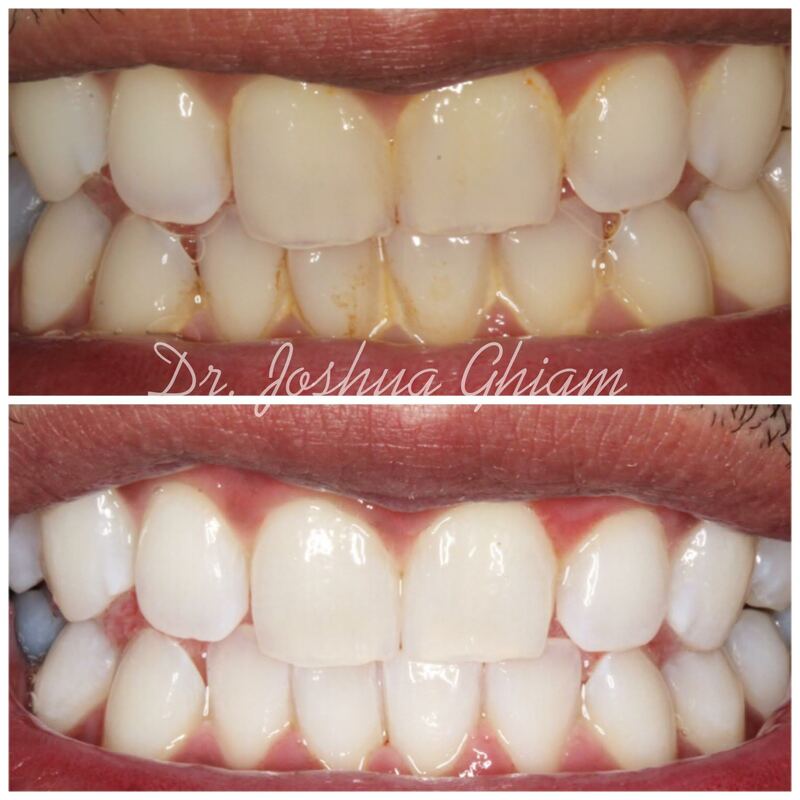 Would you like to have a bright, beautiful smile in less than an hour? 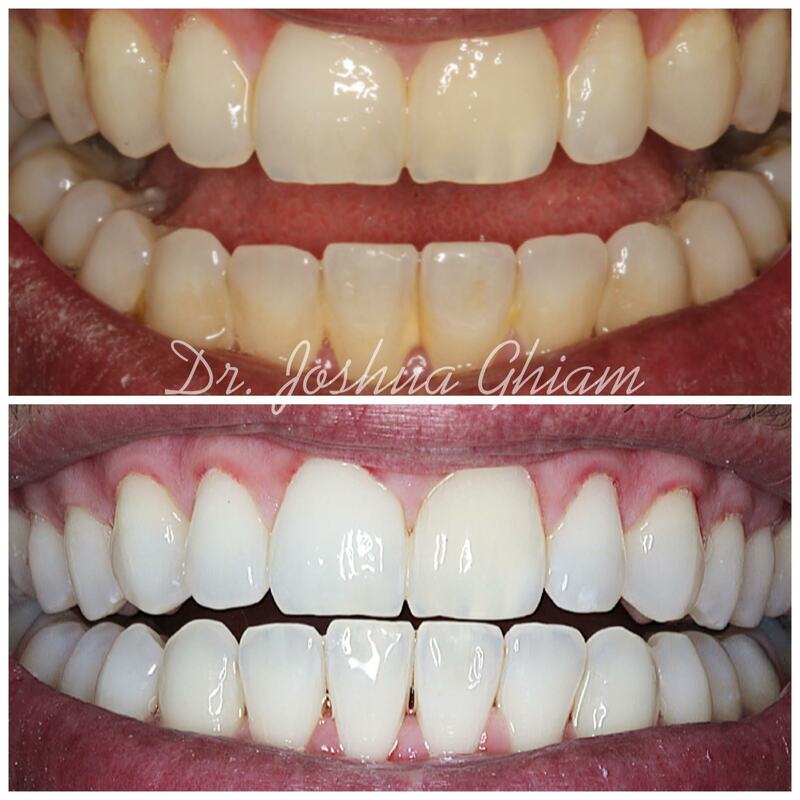 All you have to do is call (323) 651-0933 to make an appointment with an experienced dentist who can examine your teeth and tell you which whitening options, including Zoom, are best for you and your teeth.